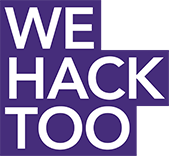 Hello We Hack Too talent! We're so excited that you've joined us as we create solutions that build our local or global communities. We wanted to remind you to put your skills, city, educational level and what you're looking for in a team member on your profile tag. This makes connecting with others in the We Hack Too community a lot easier. We really look forward to collaborating with you soon!